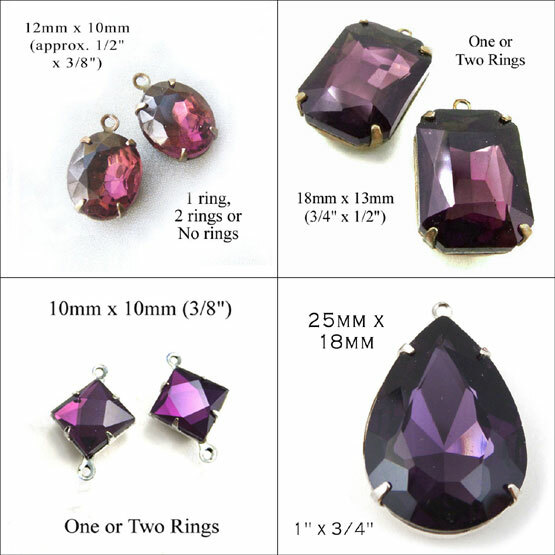 I’ll be putting up a few examples of do it yourself jewelry featuring amethyst rhinestones – just to add to the ideas I bet you’re already envisioning. So come back and check soon – there’ll be a sale or two as well! Our goal for 2019: Do it yourself – and save – and give your loved ones gifts they’ll love! 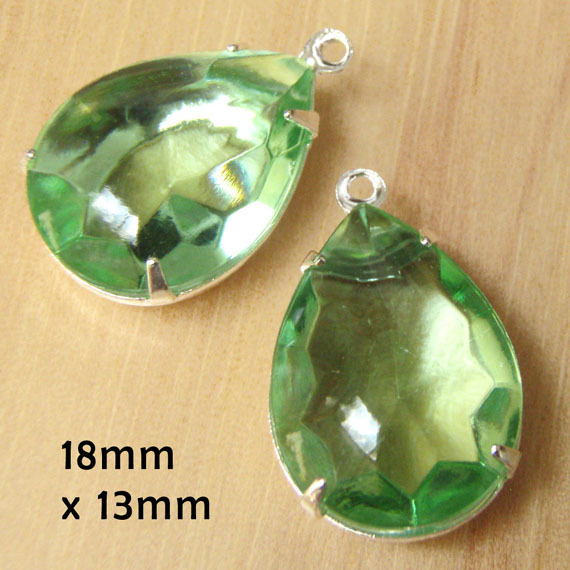 The 16x11mm octagons are a terrific faceted shape – not too small, not too large, with wonderful faceting. 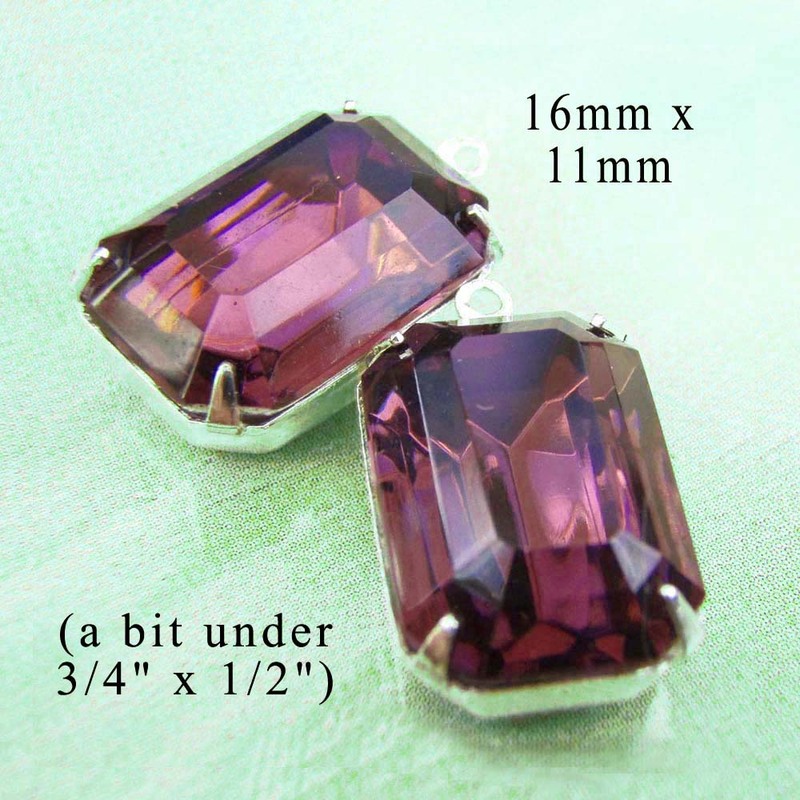 And the color is wonderful – true amethyst, not too dark but still rich. I wish I could get every stne shape in this color! Your bestie would love a Christmas gift made with these jewels. Or make a gift for your mom. Or, hey, for yourself! You know I’ve talked about how useful “ornaments” can be. 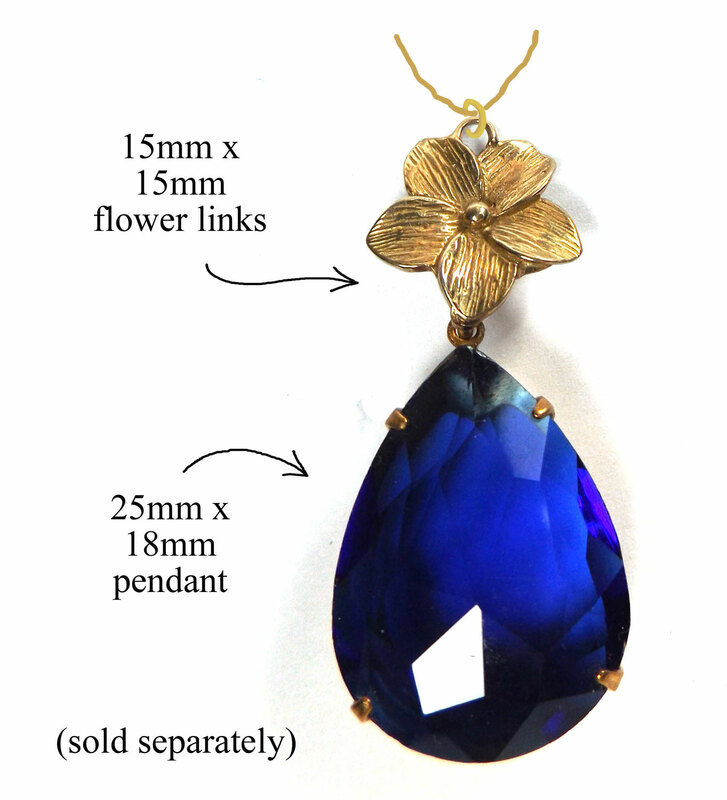 In this context, ornaments are links or charms – components that you use in your jewelry design to add texture, shine, and a bit more complexity to boost your design up another level. Case in point, this lovely do it yourself necklace design idea! Easy to use, customizeable, and affordable – this is the way it’s supposed to be! 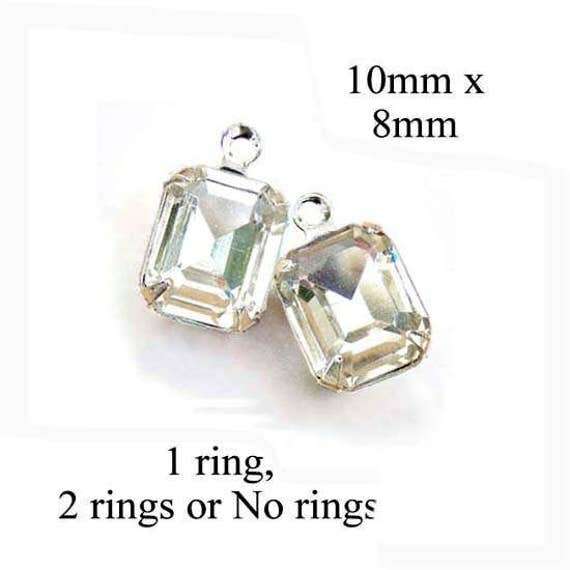 Crystal bridal jewels – DIY bridal jewelry! These look fairly large in the pic – they’re actually only about 2″ long. 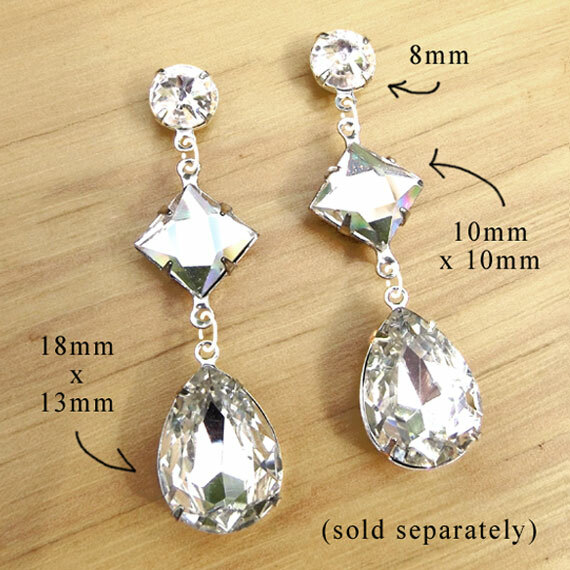 They’ll add wonderful sparkle, and they’ll definitely be noticed – but they’re not super heavy. And of course as a designer and jewelry maker, you’ll create your own spin on this design. 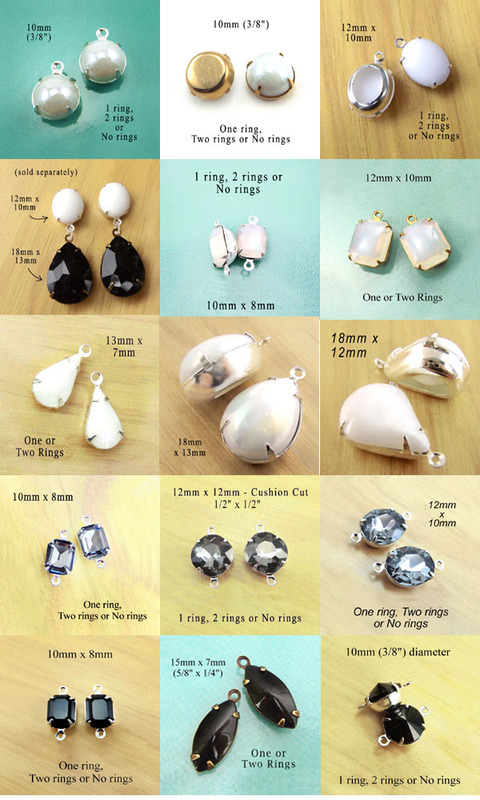 Different elements, different combinations… post earrings, french earwires, leverbacks. I’ve recently managed to restock a couple of my favorite color / style vintage jewels – that can be a special challenge with vintage (like the white opal cabochons!) 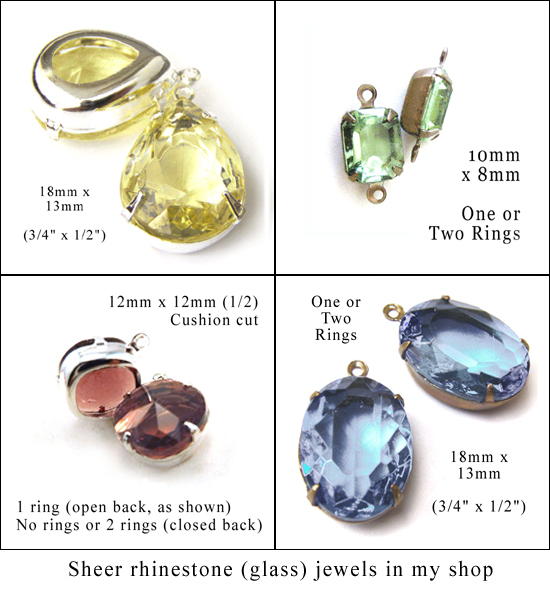 But really the point of this post is to give you a chance to see some of my white, black, and black diamond glass jewels in a composite – so you can see how the colors compare and blend. I love neutrals and lately my customers have been telling me the same thing. 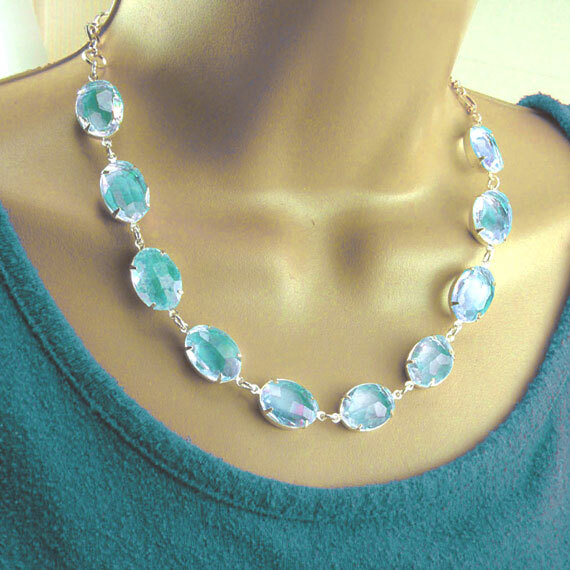 I think part of it’s economic – when your jewelry is made with neutrals, you can wear it with a lot more outfits. We’re all happy to save a little money, you know? 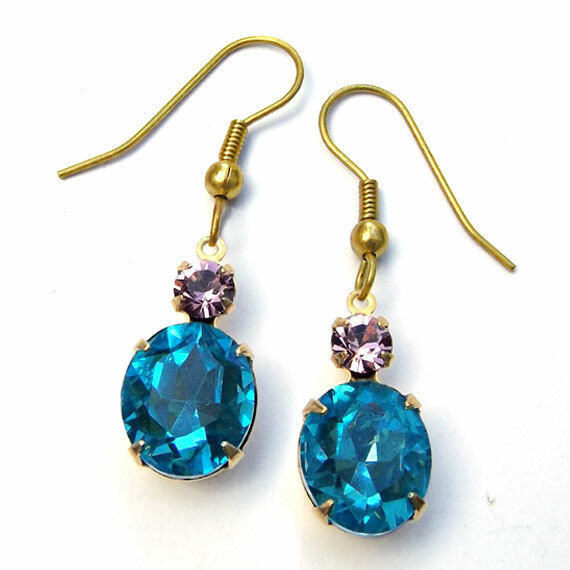 Brilliant royal blue jewels (for example) look great but they’re not quite as versatile.